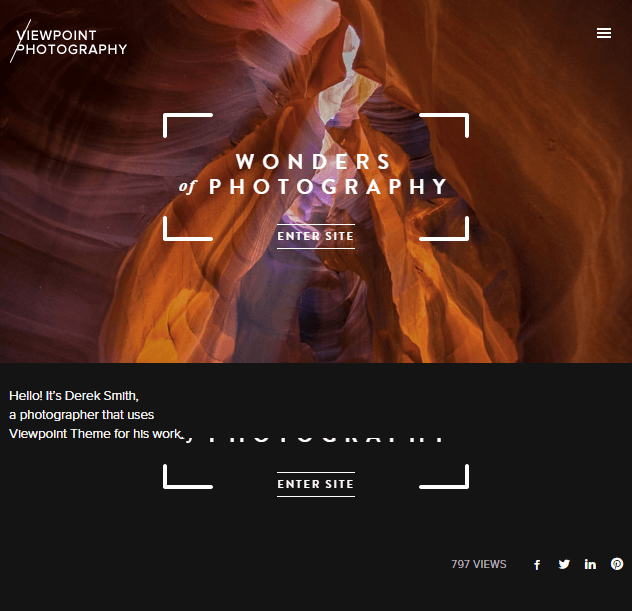 Kinetika is a responsive WordPress theme designed and developed specially for Photography related websites. 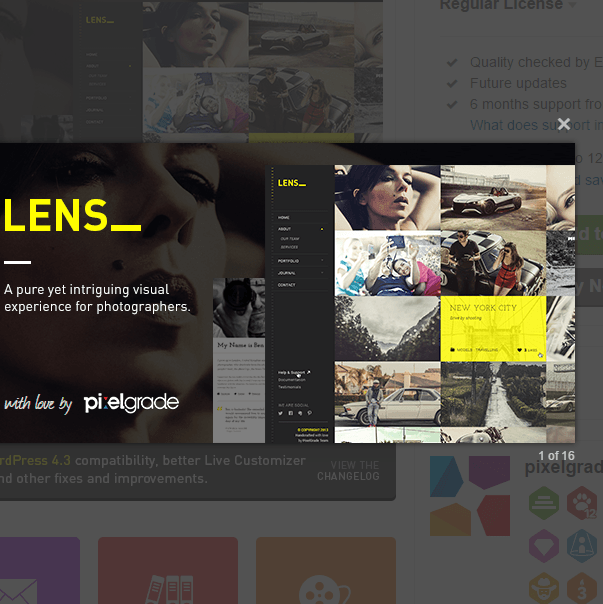 This theme has fullscreen layout which is perfect for photography websites. 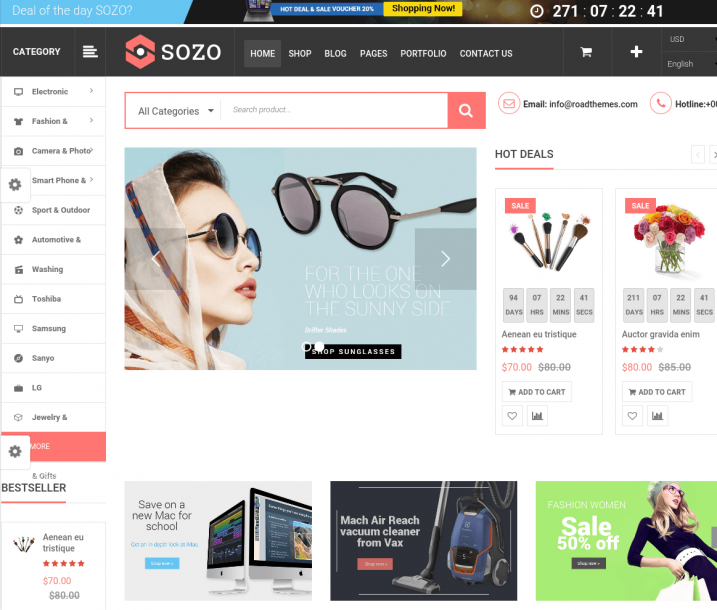 This theme is responsive and retina ready thus making it capable of adapting devices ranging from desktops, laptops, tablets, mobile phones to iPads and iPhones. On activating this theme you get theme options panel which has lot many powerful settings to choose and customize site with few clicks without any knowledge of programming. Option to choose between 3 different header styles. It will provide you with option to select border frame to your site from theme options panel to give an extra ordinary look to your photography. Option to choose between Transparent menu and vertical menu. Available in dark and light versions. Portfolio page with or without filters and in a grid of 1 to 4 columns, Password protected portfolios, etc. Compatible with Page Builder Plugins. Several widgets like Related Portfolio, Events Lister, Recent posts, Popular posts, gallery, etc. If you are planning to build a website related to photography then Kinetika theme is definitely for you. Your visitors will be really impressed by seeing the design and layout of the site. There are multiple widgets that are provided by this theme to enhance the look. It is well designed by keeping SEO in mind. 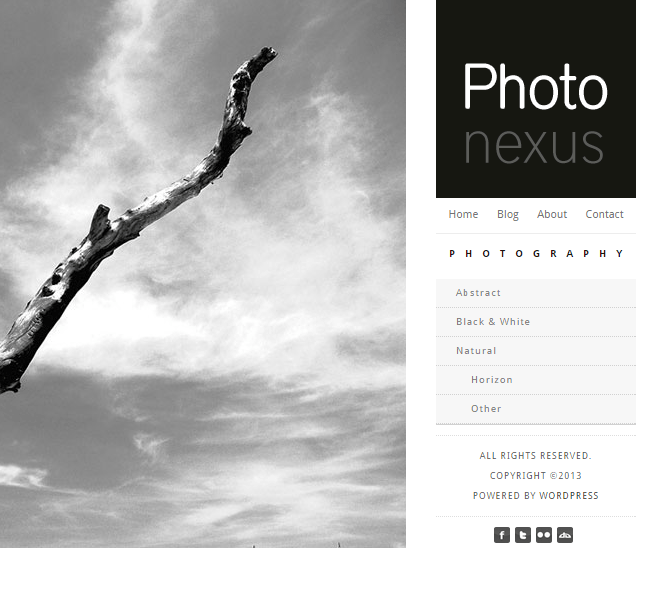 A WordPress theme with Fullscreen Megashop which is fully responsive.